When you purchase a gallon of gasoline for your car in the U.S., are you confident that you actually receive what you pay for? Looking past the question of product quality, how do you know how much gasoline was added to your fuel tank? You know because you purchase gasoline using a uniform standard of measure, the U.S. liquid gallon, established by a governmental entity, the National Institute of Standards and Technology. Furthermore, you rely upon another governmental entity responsible for local enforcement of weights and measures to regularly inspect the vendor’s gasoline pump to make certain that precisely a gallon of fuel actually is pumped on demand. Standards and, equally as important, testing against those standards, are key to consumers being confident that they are receiving what they are paying for. The application of standards and testing is just as important in purchasing drinking water filters and delivery systems. It is the only objective means for a consumer to validate a drinking water system manufacturer’s product performance claims. There are innumerable drinking water filters and systems available in the market, and conclusive product test results support the consumer’s ability to evaluate and differentiate among them. 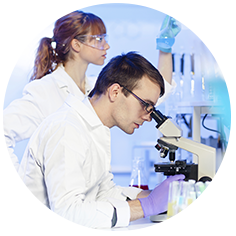 Product testing conducted by a reputable and independent third-party testing laboratory is the only way to ensure unbiased test results. However, in the complex sciences of chemistry and toxicology that are applicable to evaluating the quality of drinking water, awareness of the details behind the test results is critical to truly understanding a product’s capabilities. You cannot simply rely upon seeing a recognizable logo; you must delve deeper. 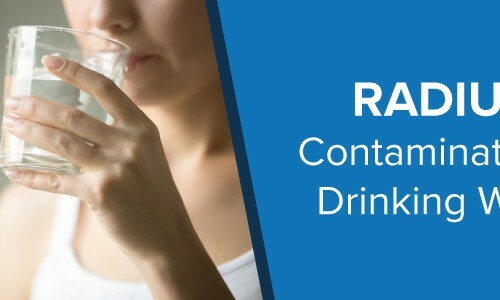 The focus of this guide is on identifying the standards that apply to the products that are commonly utilized for treating drinking water at the point of use, and on what is behind the standards that make standards compliance so important. This paper also outlines the testing process employed by the recognized leader in testing for the water filtration industry, NSF International. 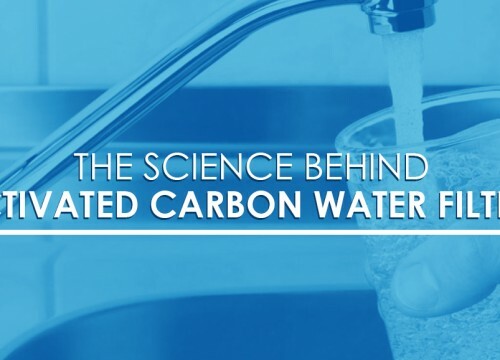 Finally, it describes how a leading drinking water filter manufacturer, Carbon Block Technology, employs standards compliance and independent testing to help consumers evaluate and compare the company’s products to the competition. The Safe Drinking Water Act (SDWA) originally was passed by Congress in 1974 to protect public health by regulating the nation’s public drinking water supply. The law was amended in 1986 and 1996 and requires many actions to protect drinking water and its sources: rivers, lakes, reservoirs, springs, and ground water wells. SDWA authorizes the United States Environmental Protection Agency (EPA) to set national health-based standards for drinking water to protect against both naturally-occurring and man-made contaminants that may be found in drinking water. The EPA, individual states, and water systems then work together to make certain that these standards are met. Founded in 1918, the American National Standards Institute (ANSI) is a private, not-for-profit organization serving as the official U.S. representative to the International Organization for Standardization (ISO) and, via the U.S. National Committee, the International Electrotechnical Commission (IEC). ANSI is also a member of the International Accreditation Forum (IAF). ANSI accredits and coordinates several hundred organizations and committees that develop standards for approval as American National Standards based in part on evidence of due process and consensus. ANSI provides the criteria and procedures for achieving due process and determining consensus, as Why Standards Matter For Drinking Water Filters Raising The Bar For Performance Measurement well as other requirements for the development, approval, maintenance and coordination of American National Standards. These ANSI criteria and requirements are accepted by each accredited standards developer as a condition of accreditation. NSF International (NSF) is one such ANSI accredited organization (Accreditation ID 0216). NSF was founded in 1944 as an organization devoted to public health safety and protection of the environment. Today, NSF is the leading global, independent third-party certification and testing organization for products that affect water quality and food safety. NSF is recognized as the leading authority in the development of consensus, establishing national standards that bring together experts from the regulatory, manufacturing, academic, scientific research, and consumer industries. These comprehensive standards provide the basis by which product manufacturers can demonstrate the quality, reliability and performance of their products, and through which buyers, consumers and health officials can be assured of their safety and benefits. The NSF Drinking Water Treatment Units (DWTU) Certification Program for Point-Of-Use (POU) and Point-Of-Entry (POE) systems and components was first established in the early 1970s, beginning with the adoption of the first NSF DWTU Standard in 1973. Based upon Maximum Contaminant Level (MCL) standards established by the EPA, and working within the auditing framework defined by ANSI, NSF sets the standards for compliance and testing for drinking water filters and systems. Today, a total of seven NSF DWTU Standards have been adopted, to which hundreds of companies have certified thousands of POU and POE systems and components used around the world to improve and protect drinking water quality. At a regional level, a limited number of states enforce their own compliance standards for drinking water systems sold within the state. States with their own standards include California, Colorado, Iowa, Massachusetts, and Wisconsin. In most instances, states will recognize NSF certification as acceptable proof of drinking water system performance. NSF also is an active participant in testing and certification at the international level. Countries throughout the world are developing and adopting standards for the evaluation of POU and POE drinking water treatment units. For example, the European Committee for Standardization (CEN) has been developing such standards, also referred to as European Norms, for all of Europe. NSF/ANSI Standard 42 covers POU and POE systems designed to reduce specific aesthetic or non-health-related contaminants (such as chlorine, taste and odor, and particulates) that may be present in public or private drinking water. The scope of Standard 42 is to establish minimum requirements for material safety, structural integrity, product literature and aesthetic, non-health related contaminant reduction performance claims. The Standard applies most commonly to carbon filtration, but it also applies to other filtration media such as ceramic filters. It’s worth noting that a device may be certified under this and other NSF/ANSI Standards for specific contaminant reduction (e.g., chlorine) by meeting just the minimum level of reduction required by the Standard, not necessarily by removing all of the contaminant present in the source water. With regard to particulate reduction, several classes are used to define the level of particulate reduction, ranging from Class VI for those devices removing coarse particulates of 50 micrometers and larger, to Class I for drinking water treatment units that reduce the smallest submicron particles (i.e., 0.5 to 1.0 micron). NSF/ANSI Standard 53 addresses POU and POE systems designed to reduce specific health-related contaminants that may be present in public or private drinking water. Standard 53 establishes minimum requirements for material safety, structural integrity, product literature, and health related contaminant reduction performance claims. The most common technology addressed by NSF Standard 53 is carbon filtration, and the standard includes both POU and POE products. Some products fall under the scope of both Standards 42 and 53 because they claim a combination of aesthetic and health claims. NSF tests and certifies under Standard 53 if a filter system reduces a significant amount of a specific harmful contaminant from drinking water. Such hazardous contaminants may be microbiological (including filterable cysts), chemical (including disinfection byproducts, pesticides, herbicides, and insecticides), or particulate in nature. NSF may certify that a DWTU may be effective in controlling one or more of the health effects contaminants. By carefully reviewing the performance data sheet for a product, you will be able to determine whether the device is effective in reducing many pollutants or just a few. Another consideration in evaluating performance claims is to be aware of the role a Performance Indication Device (PID) plays in NSF product certification. A PID measures the actual water usage and notifies the consumer when it is time to replace the filter cartridge. A product manufacturer may incorporate a PID into the drinking water system to be able to certify the same system with a higher capacity. It should be noted that a drinking water filter with a PID actually is tested to 120% of the capacity claimed. Without a PID, the filter is tested to 200% of the capacity claimed. In both instances, actual performance is the same. NSF/ANSI Standard 44 – Applicable to water softener systems designed for hardness reduction and health claims. Standard 44 establishes minimum requirements for the certification of residential cation exchange water softeners. The scope of Standard 44 includes material safety, structural integrity, accuracy of the brine system, product literature, the reduction of hardness, and the reduction of specific contaminants from a known quality water source. The most popular claims made under Standard 44 are barium reduction, radium 226/228 reduction, and softener performance. NSF/ANSI Standard 55 – Applicable to systems utilizing ultraviolet (UV) light to provide disinfection. Standard 55 establishes minimum requirements for the certification of UV systems. The scope of Standard 55 includes material safety, structural integrity, product literature, and UV performance. UV systems are categorized either as Class A (delivers minimum 40 mJ/cm2 UV dose and has an alarm) or Class B (delivers minimum 16 mJ/cm2). Systems may be POU or POE. Class A systems may claim to disinfect water that may be contaminated with pathogenic bacteria, viruses, Cryptosporidium, or Giardia. Class B systems may claim to reduce normally occurring nuisance microorganisms. NSF/ANSI Standard 58 – Applicable to systems employing reverse osmosis technology to address total dissolved solids (TDS) reduction and health claims. Standard 58 establishes minimum requirements for the certification of POU reverse osmosis systems. The scope of Standard 58 includes material safety, structural integrity, product literature, TDS reduction, and additional contaminant reduction claims. These additional contaminant reduction claims may include the reduction of cysts, barium, radium 226/228, copper, hexavalent and trivalent chromium, arsenic, nitrate/nitrite, cadmium, and lead. NSF/ANSI Standard 62 – Applicable to distillation systems designed for TDS reduction and health claims. Standard 62 establishes minimum requirements for the certification of POU and POE distillation systems. The scope of Standard 62 includes material safety, structural integrity, product literature, TDS, and additional contaminant reduction claims. There is one more NSF Standard to note. NSF/ANSI Standard 61 applies to drinking water treatment products, but it is focused at the component level rather than at the system level like the other Standards. Standard 61 typically is referenced in relation to material extraction testing conducted for municipal drinking water system components. Components certified to meet Standard 61 have been tested for material safety and, if applicable, structural integrity, but not for aesthetic and/or health claims. The arduous NSF testing and certification process provides assurance to consumers that the performance claims for an NSF certified water filter are accurate and the product is reliable. As mentioned previously, certification is limited to just the specific contaminants for which testing was conducted. NSF conducts unannounced, annual inspections to verify continued compliance, including production facility inspections, and sometimes purchases additional product samples on the open market for further testing. The product certificate awarded by NSF is valid for 5 years, and complete product re-testing and facility inspection is required to renew the certificate for another 5 years. NSF Standards are the yardstick for objectively comparing drinking water filters. But before evaluating any drinking water filtration products, begin by understanding what your filtration objectives are. You must understand the characteristics of the source water that you are filtering and identify the water quality problems you want to address. Beyond just considering contaminant reduction objectives, you need to understand how filter capacity and flow rate relate to each contaminant reduction claim. For example, a filter certified to reduce lead for 40 gallons at 0.5 GPM may not meet your output needs, but increasing the flow rate through the filter will have an impact on the capacity of the filter to reduce lead. You should not assume that just seeing the NSF logo on a product means that the product performance will be acceptable. Carefully review the performance claims on the required product label. First, identify which NSF Standard the certification is based upon. Then, verify which specific contaminant reduction claims have been certified. Confirm that the certification is not for just one or two contaminants but for the specific contaminants that are being targeted for reduction. A marketing claim that a drinking water filter is “tested to NSF Standards” is not the same as the filter being tested and considered an NSF certified water filter. NSF maintains an online database of manufacturers and certified products that is open to the public for viewing. The web site provides information regarding the specific contaminants the product is certified to reduce, as well as information about service cycle, flow rate, replacement media, and style. You can access the NSF database by visiting www.nsf.org. Carbon Block Technology, Inc. (CB Tech) is an industry-leading manufacturer of the highest quality drinking water filtration products available. CB Tech recognizes that formal third-party testing and certification of its products is the most objective means to communicate the high quality of the company’s products. NSF established the first DWTU standards in 1973, and CB Tech had its first product NSF tested and certified in 1991. Today, every CB Tech CB Techbranded product the company manufactures is submitted to NSF for testing and certification. CB Tech believes that in-depth testing and certification by NSF is the best possible proof of performance, and provides consumers a reliable means of differentiating between products and validating the various performance claims made. More broadly, CB Tech’s Vice President of Technology and Chief Scientist actively participates in NSF policy-making committees to help provide market leadership and industry stewardship. The quality of CB Tech’s Solid Carbon Block filter products, marketed under the brand name “CB Tech Drinking Water Systems,” is clearly demonstrated by the impressive results of independent product testing conducted and certified by NSF. When compared to similar carbon filters on the market, CB Tech Drinking Water Systems reduce the widest range of NSF-certified contaminants of health concern. CB Tech relies upon NSF to certify all of its CB Tech Drinking Water Systems under NSF/ANSI Standards 42 (Aesthetics Effects) and 53 (Health Effects). The company’s drinking water systems that incorporate reverse osmosis technology in concert with solid carbon block pre and post-filters are further certified under NSF/ANSI Standard 58 (Reverse Osmosis). Additionally, a great majority of the standard “component” filters manufactured by CB Tech, but not offered for sale in an NSF certified water filter (e.g., standard-size water filter cartridges), are tested and certified under NSF/ANSI Standard 42 for material safety requirements. Currently, CB Tech is the only manufacturer with an NSF-certified water filter under Standard 53 to reduce levels of Arsenic V.
The arduous process of having a drinking water filtration product and the associated manufacturing facility certified by NSF is both time consuming and expensive. However, there is ample opportunity for companies to partner with CB Tech to make the process much easier and less expensive. CB Tech is one of the world’s leading producers of carbon block water filters, and the company’s experience and established reputation can be leveraged by savvy partners using three alternative options. First, CB Tech is a custom contract manufacturer that produces carbon block filter elements for many companies marketing drinking water systems under their own brand names. CB Tech offers guidance to its contract customers in the design of OEM filters to meet NSF Standards and specific contaminant reduction claims. The company’s rapid prototyping capability, with in-house development of all custom carbon block tooling, allows CB Tech to quickly respond to the need for product samples for testing, formulation tuning, and re-testing. Very importantly, CB Tech’s comprehensive quality assurance plan helps ensure that NSF-certified filters remain compliant throughout the product lifecycle. In NSF parlance, this certification approach is referred to as an “Other Than Listed Manufacturer” (OTLM) listing. CB Tech’s contract customer will save through reduced NSF inspection fees because the NSF inspector can perform inspections for both companies during the same visit to a single production facility. Second, a CB Tech customer can add their private label to a CB Tech product that already is tested and certified by NSF. This option is referred to by NSF as a “Another Name For” (ANF) listing. CB Tech’s customer can have their own complete NSF listing, with their own model designations, based entirely on a CB Tech branded product that already has received NSF certification. Because the product is identical to CB Tech’s certified product, no NSF inspection fee is charged for ANF listings. Third, CB Tech’s customer can use the private label option previously noted, but not create their own NSF listing. Instead the customer can have their private-labeled CB Tech product appear as a separate model under CB Tech’s “CB Tech” listing. The product literature of the privatelabeled product can carry the name of CB Tech’s customer. However, it must also reference CB Tech so that consumers can trace the product back to NSF’s published listings. This option is most economical because no additional listing or inspection fees are applied. Extensive product testing and certification by an independent third party is the most reliable means for consumers to obtain documented proof of actual drinking water filter product performance. NSF International literally sets the Standards for the drinking water treatment industry, and CB Tech is firmly committed to manufacturing NSF certified water filters that unequivocally meet or exceed the applicable NSF Standards. CB Tech has a well established track record of leading the industry in NSF Standards compliance, as evidenced by the depth and breadth of the company’s product performance certifications. For commercial customers, CB Tech is an excellent supplier partner that assists companies in achieving NSF certification under their own drinking water filter brand name.